Food unites us. People from all walks of life share this common need, but need sounds so drab, as if the only point of eating is to survive another day. Instead, food should be an experience, a succulent spice to make the days more bright and meaningful. Food is an art, a science, and a means through which to form lasting connections with others. The desire for excellent cuisine can be a powerful one, but it does not have to be a strenuous undertaking. If such a desire inspires a getaway from daily life, then you’ve come to the right place! 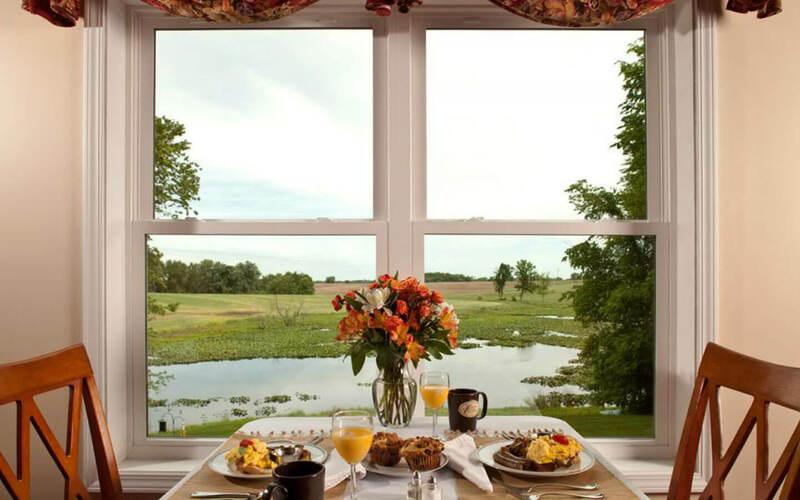 Castle in the Country is the perfect destination for your next food-oriented getaway. Cheers! 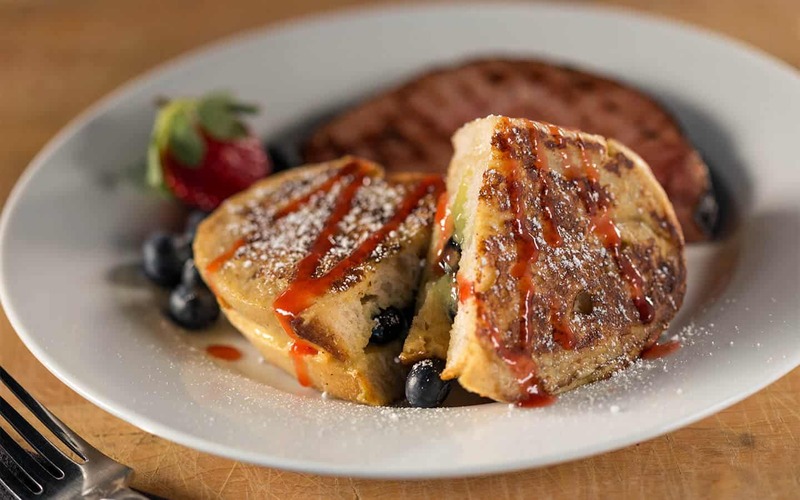 The breakfast at Castle in the Country is an experience that needs to be tasted to be believed. With a variety of options to choose from including fresh fruit and sweet and flaky pastries, there’s something here for every palate. Alternating daily between sweet and savory, the main entrées are a sight to behold, each one unique and prepared using only the freshest ingredients. 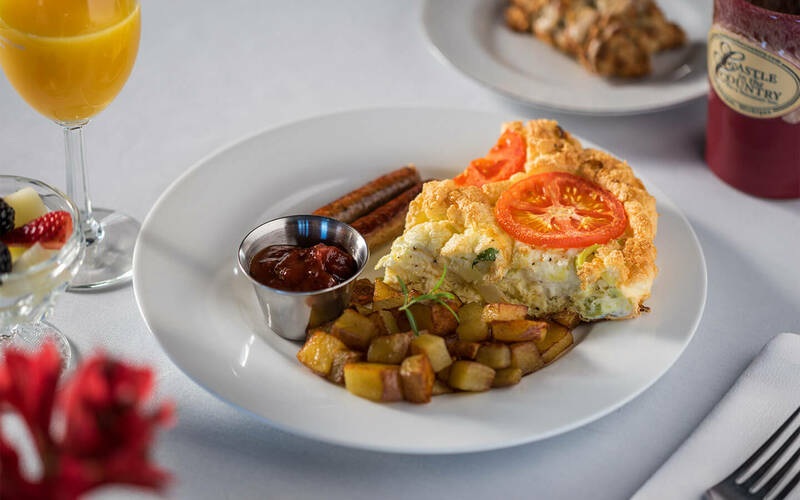 Savor the choices, with veritable works of art set to dishes like soufflé frittata, sourdough French toast, and both sweet and savory quiches. We are constantly mixing things up, trying new dishes, and keeping our menu fresh. If you want more details on what you can look forward to savoring during your specific stay, give us a call and ask one of your innkeepers. They’ll be happy to give you a preview of what will be served the days you’ll be joining us. Is all this talk of food making you thirsty? Well then allow the Castle to be the bearer of good news. 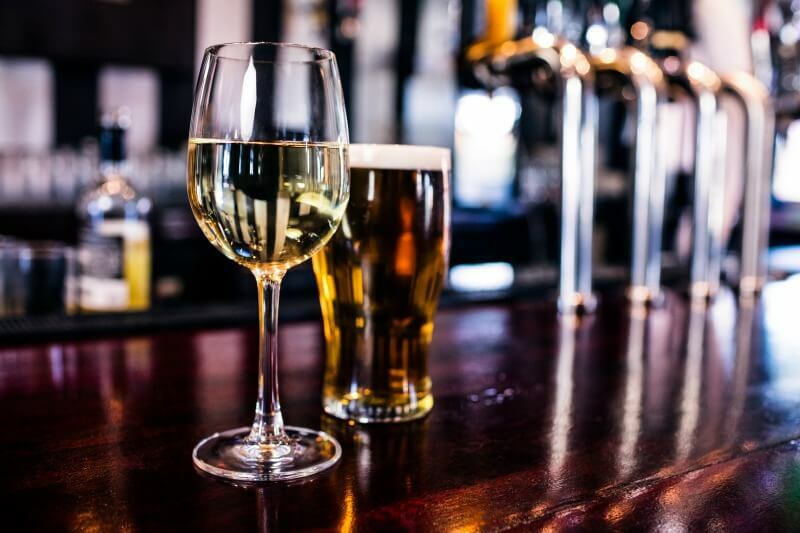 Both beer and wine packages are available to book separately or combined! Get the best of both worlds with beverages both at the Inn and in the surrounding area of Southwest Michigan. Excellent wineries and breweries are located close by and will easily satisfy those thirsty for a cold local craft beer or fine wine. 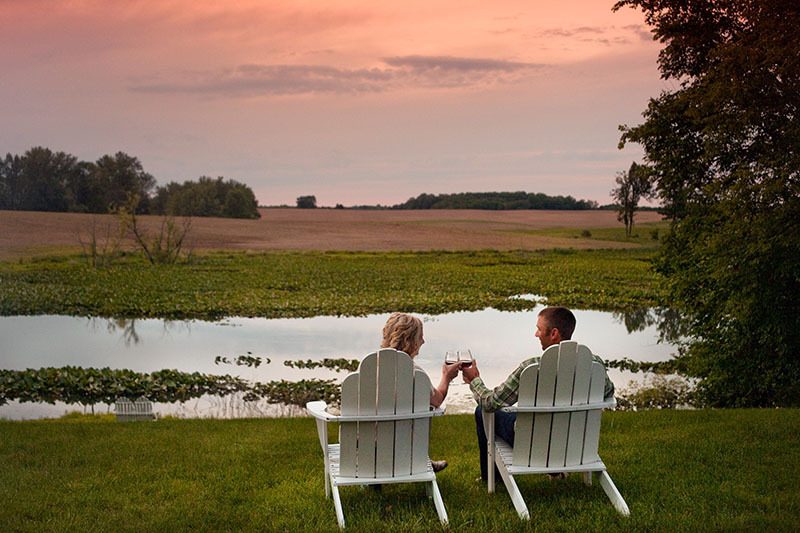 Some of our favorite destinations for indulging in a drink or two include Fenn Valley, the second largest winery in Michigan that boasts rolling hills and award winning wines, and Virtue Cider, featuring a variety of European style hard ciders, perfect for the fall season or anytime. Visit Bell’s Brewery in the urban city of Kalamazoo or New Holland Brewery and Distillery. Upon arrival, tell your innkeeper more about your personal taste and favorite flavors and they’ll recommend the perfect beverage destinations for your enjoyment. Nothing brings people together like food. 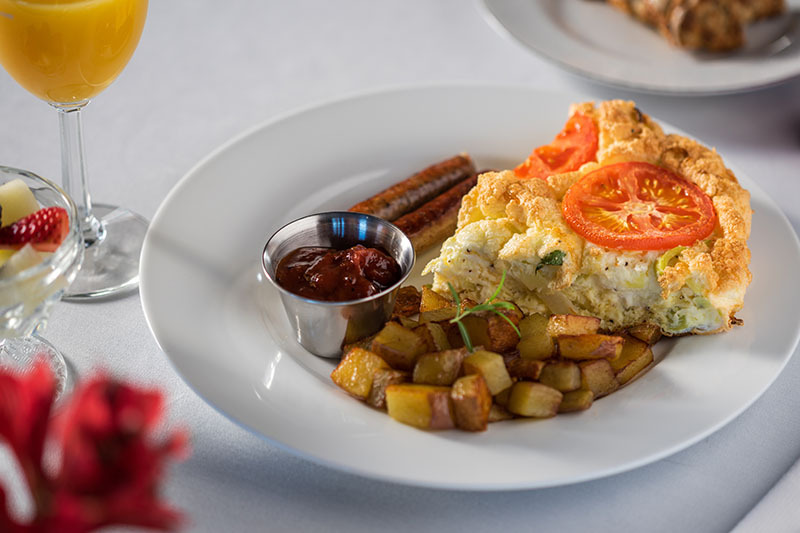 A common need turned into an uncommon joy, it’s an unforgettable experience easily enhanced by good company and great cuisine, all of which can be found at Castle in the Country Bed and Breakfast Inn. When you stay with us, the details are taken care of. There’s no need to spend time researching what to do and how to enjoy your stay. 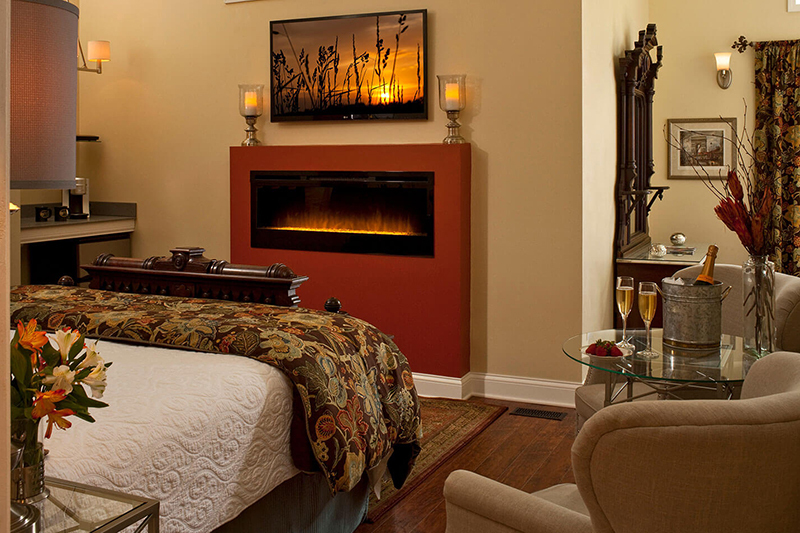 Simply ask your innkeepers what they suggest when you arrive. They are always happy to make recommendations based on your personal preferences. It’s the easiest and most accurate way to be led to the best of the best. If you’d rather explore on your own, add our mobile app and click on our adventure map and let it guide you to all the nearby places we love. Either way, we’ve got you covered. Just choose your favorite room and look forward to escaping to a relaxing (and delicious) haven. For an aerial view of our entire kingdom, view our fall video.